Ever since his music began taking him to new heights, Chance the Rapper has dedicated much of his time, energy and resources to giving back to his community, particularly working with the youth in his hometown of Chicago. Most recently, it was announced that Google has donated to the rapper's nonprofit organization, SocialWorks. Taking to Twitter, Chance shared the news, as well as specified what the generous donation will be going towards. "Today @Google funded coding classes for 20 schools on the south and west sides," Chance wrote. "God bless everyone involved. Thank you." 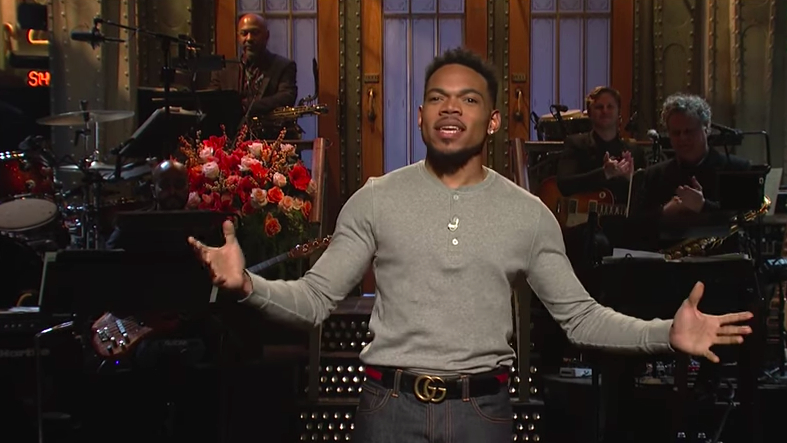 While Chance the Rapper kept his commentary sweet and to the point, Google further elaborated on their blog, explaining that the donation is meant to "help teachers implement computer science and arts curriculum in their classrooms, and it builds on $40 million in Google.org grants that provide opportunities for students underrepresented in computer science to explore the field." The executive director of SocialWorks, Justin Cunningham, also issued a statement commenting on the recent donation on behalf of the organization and Chance. "Our grant with Google.org helps SocialWorks provide programming that sheds light on another pathway to success for young Chicagoans," Cunningham added. "While every student doesn't need to become a computer scientist, understanding the basics empowers them to understand the world they live in. The opportunity to help kids code to share their music, artwork, and distinct point of view is at the core of our mission and an experience we look forward to providing in classrooms across the city." Google's donation matches another incredible donation, with Jewel-Osco donating one million for SocialWorks' New Chance: Arts & Literature Fund last month. Today @Google funded coding classes for 20 schools on the south and west sides. God bless everyone involved. Thank you.